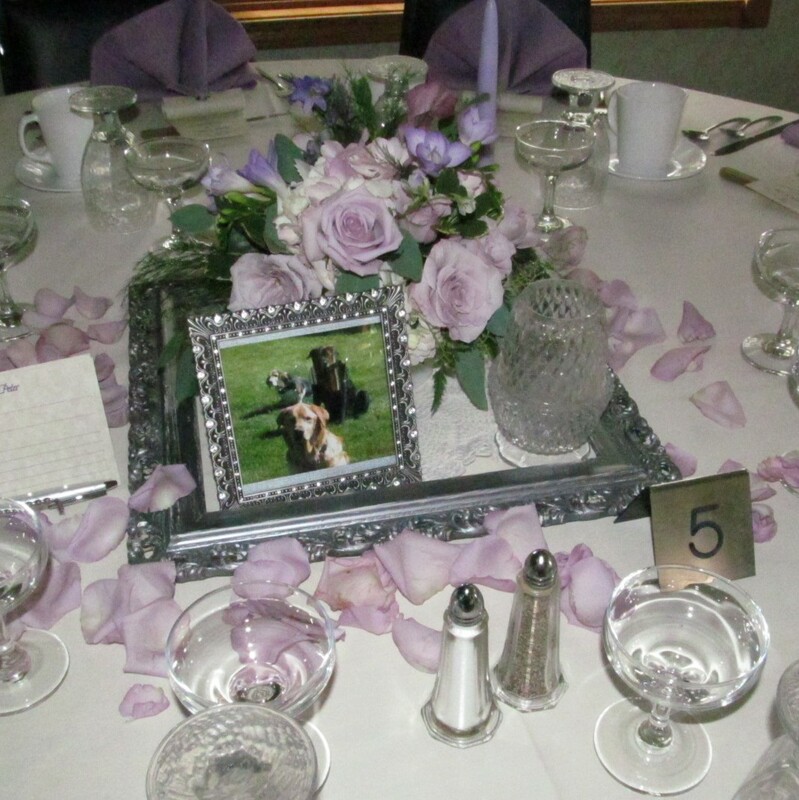 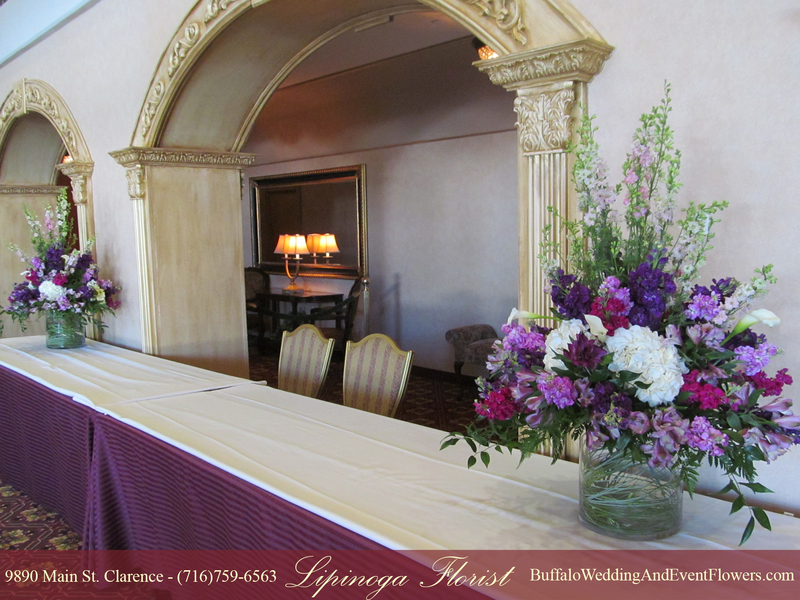 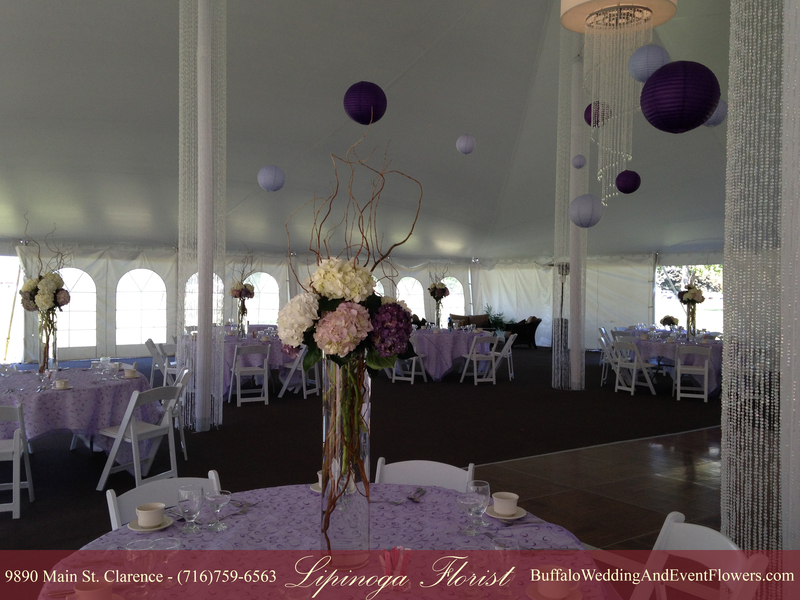 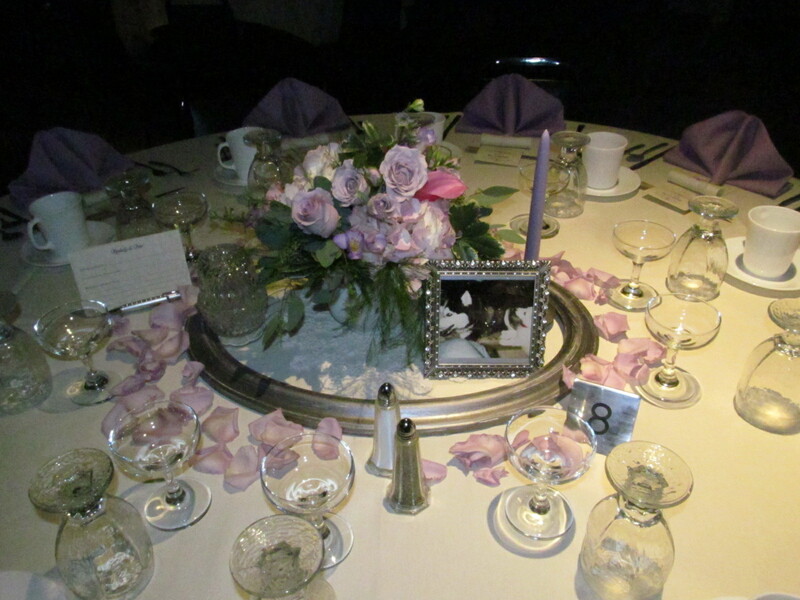 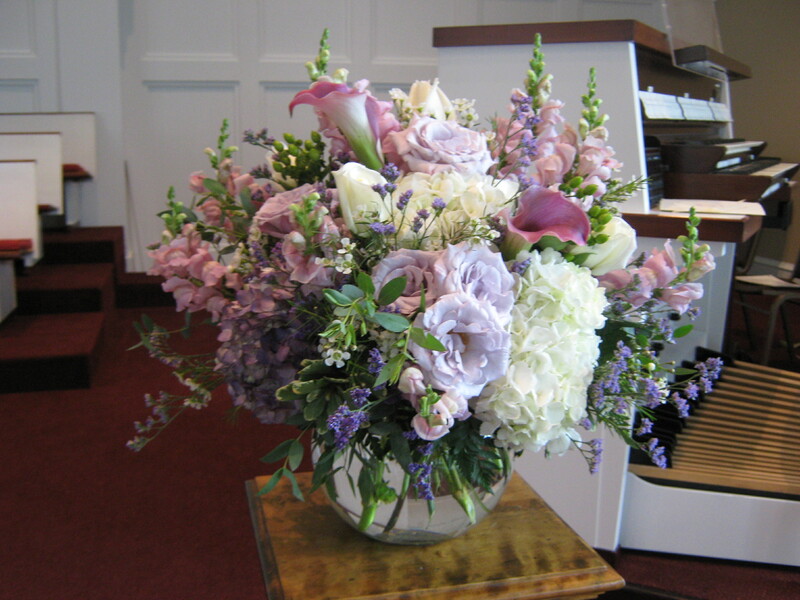 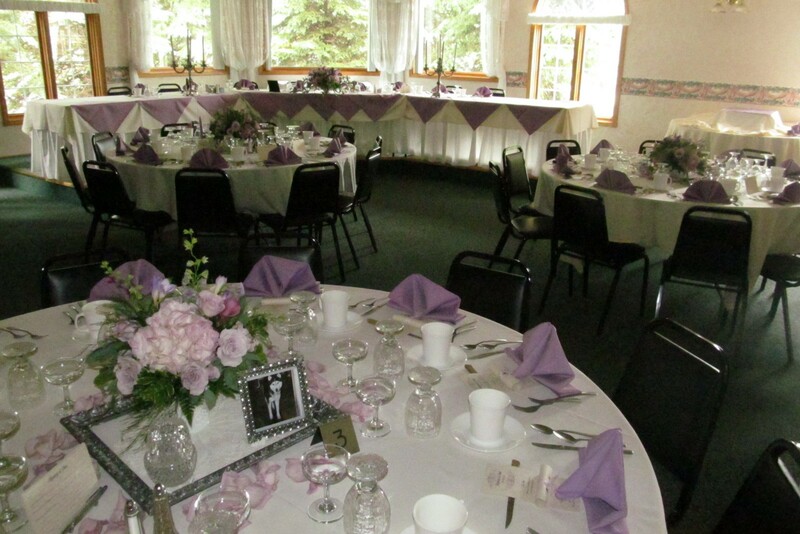 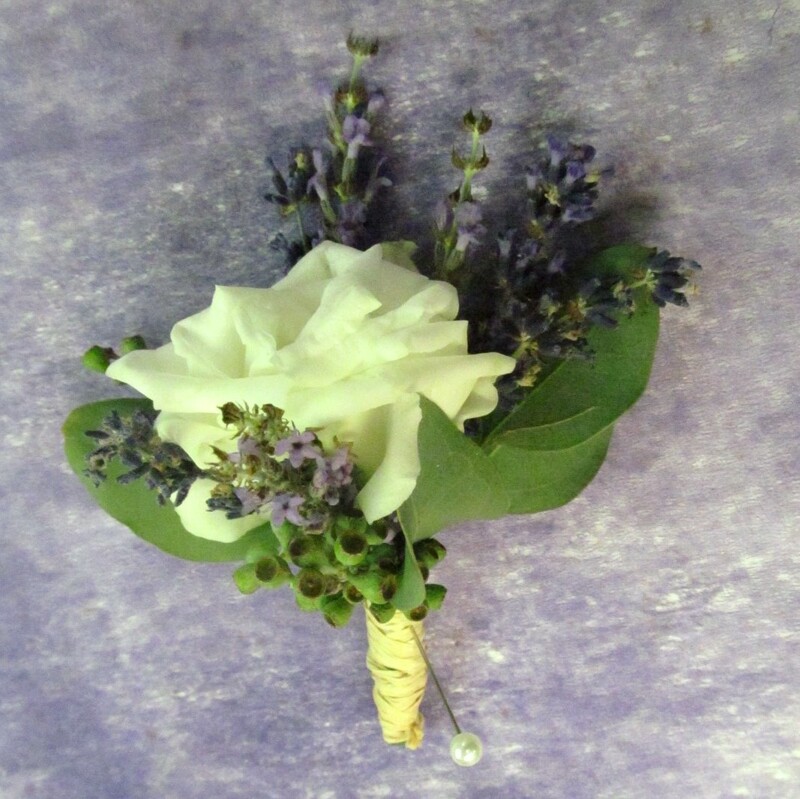 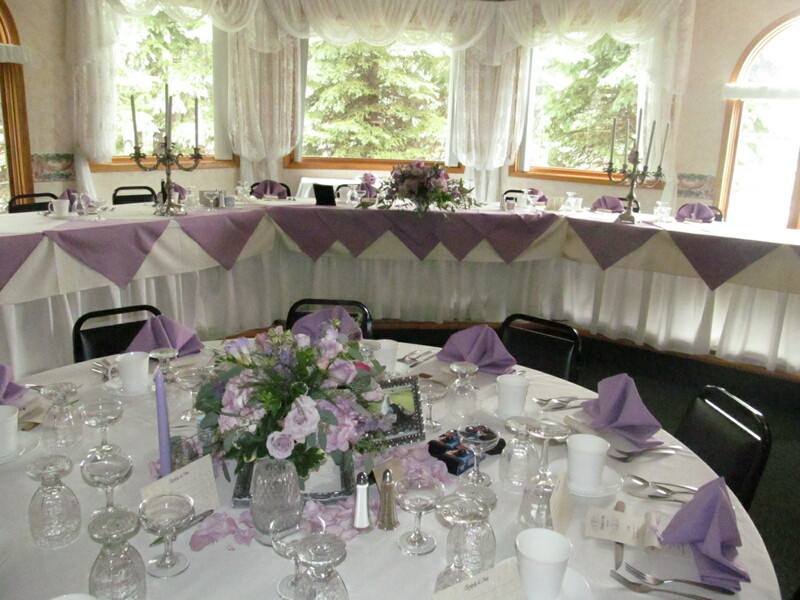 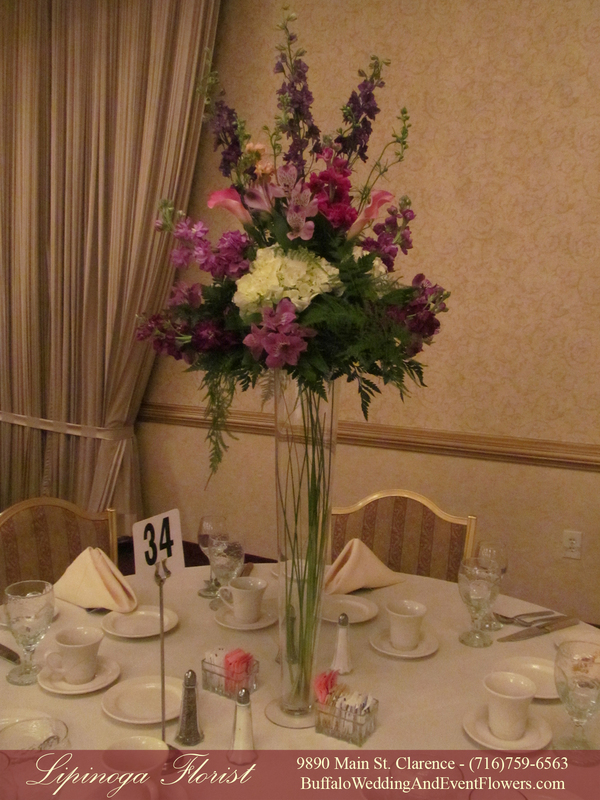 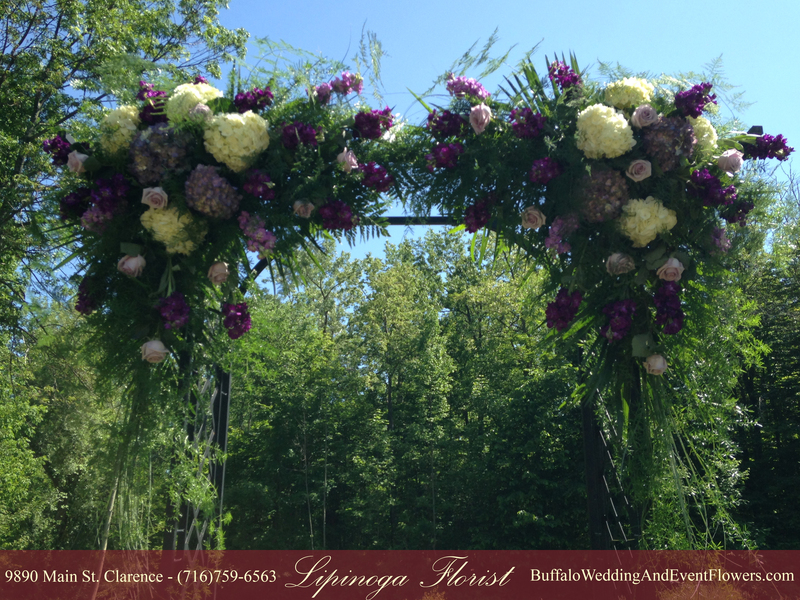 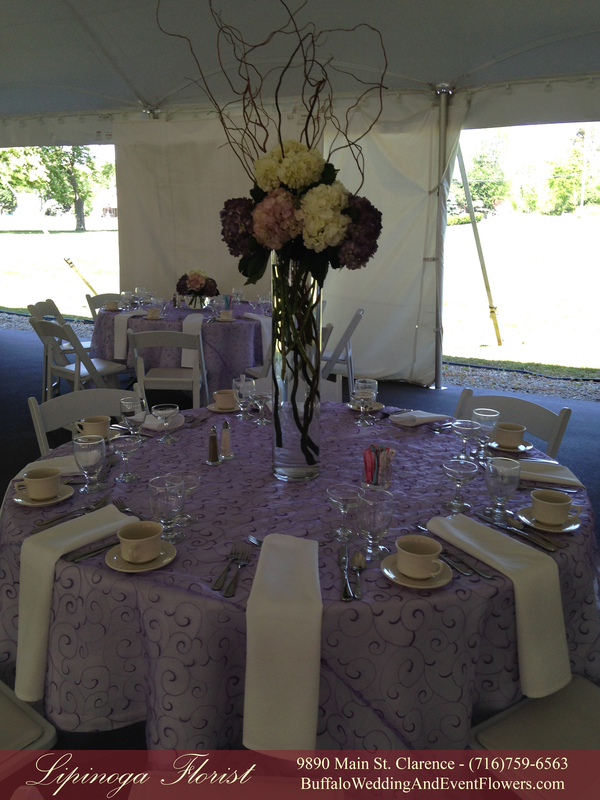 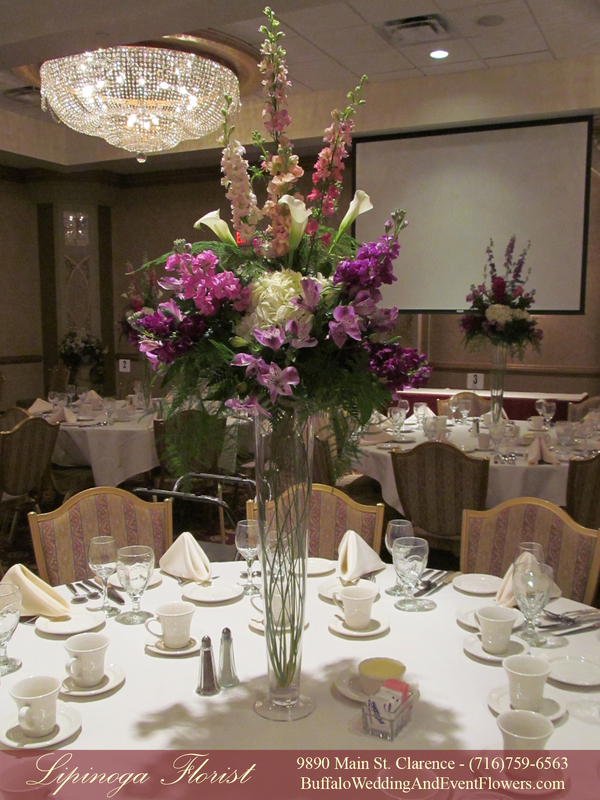 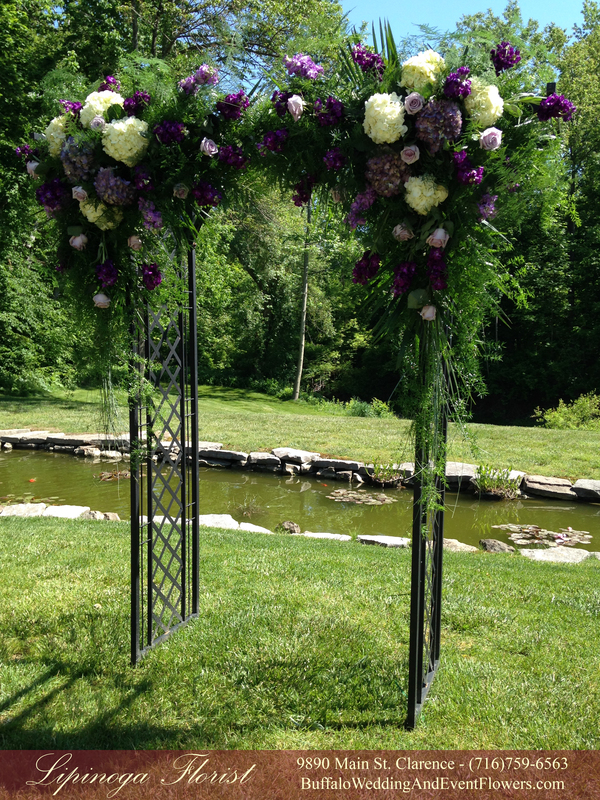 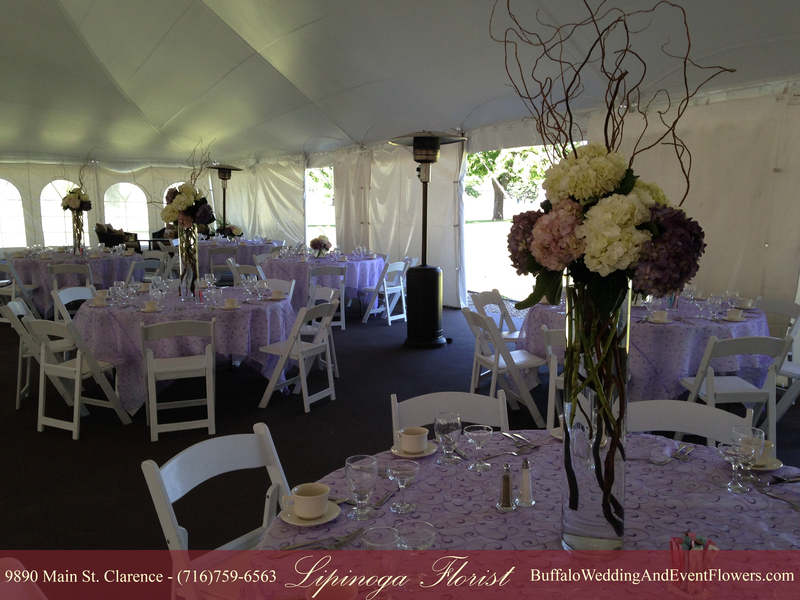 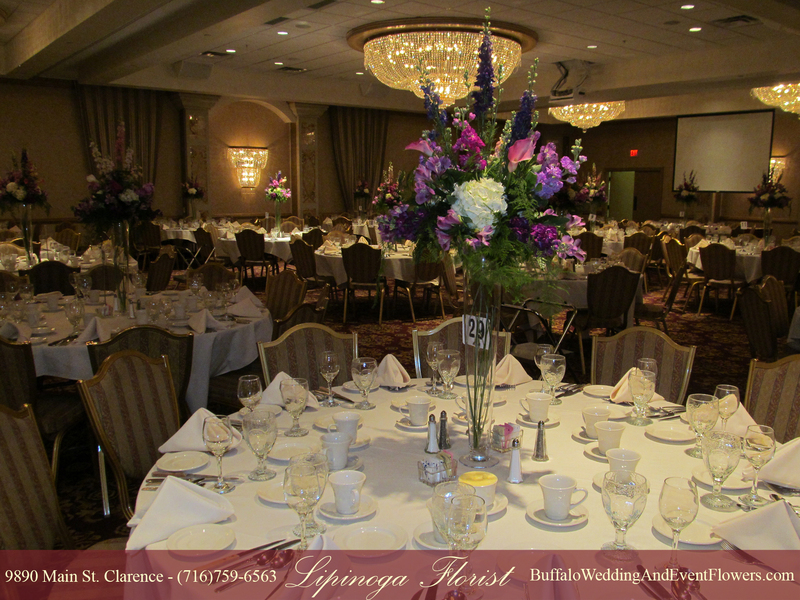 Lavender and White Flowers create an elegant ambiance for a wedding at Clarence First Presbyterian Church. 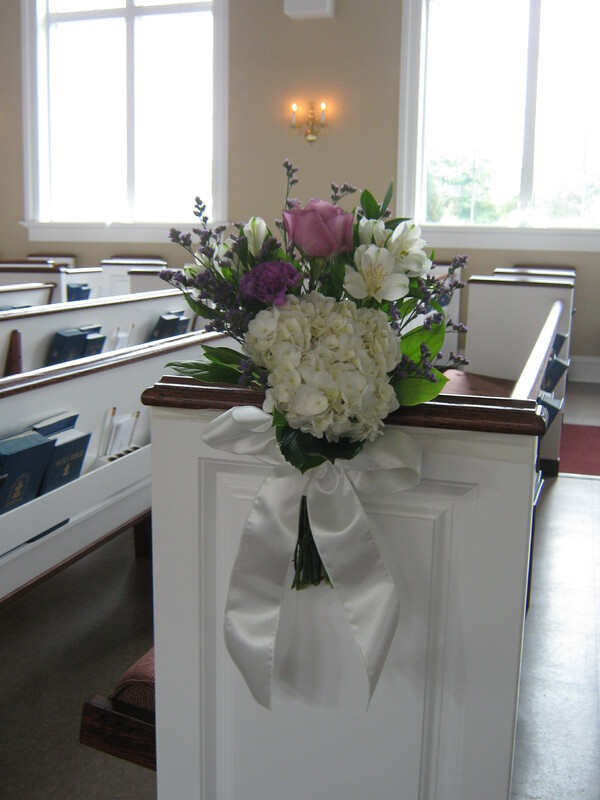 A simple cluster of flowers is tied to the pews with a satin bow to create a romantic ambiance for the bride’s walk down the aisle. 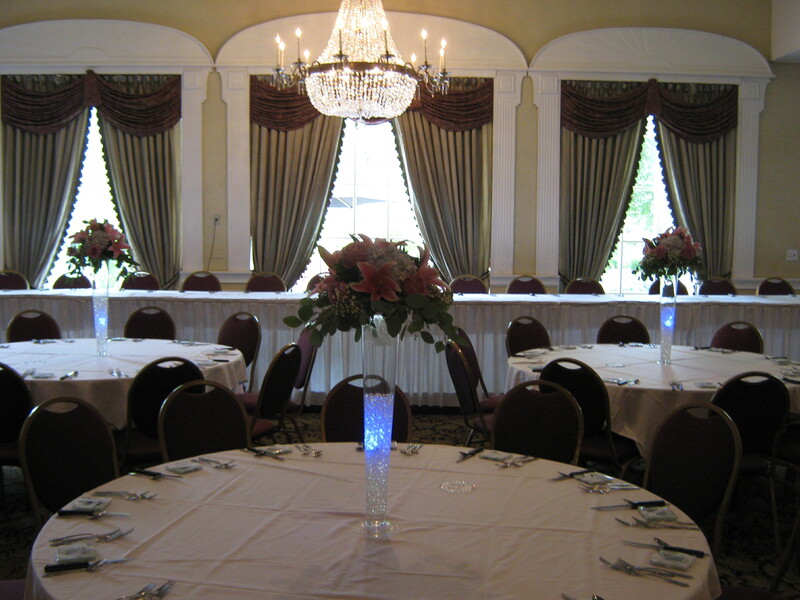 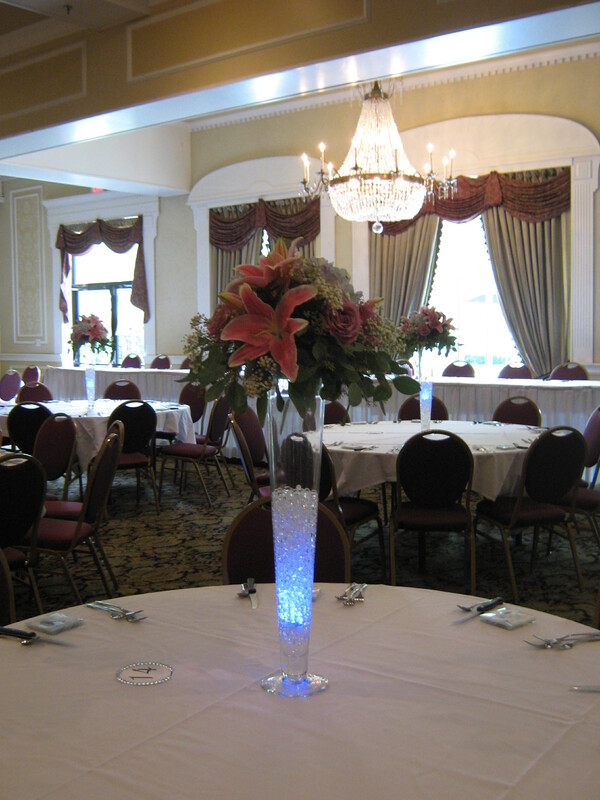 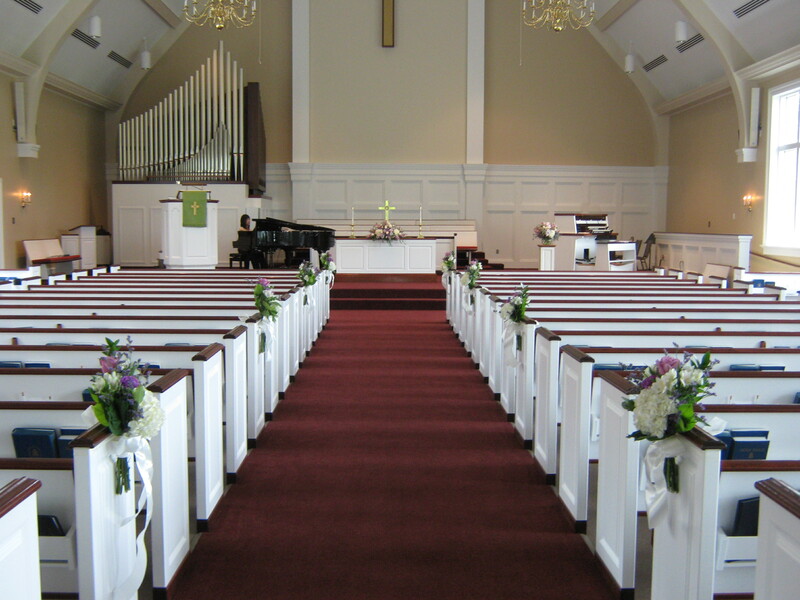 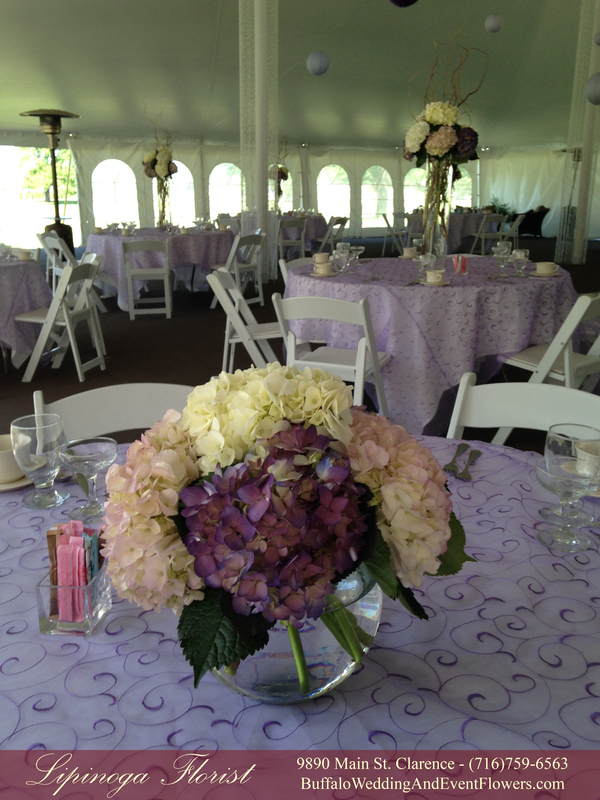 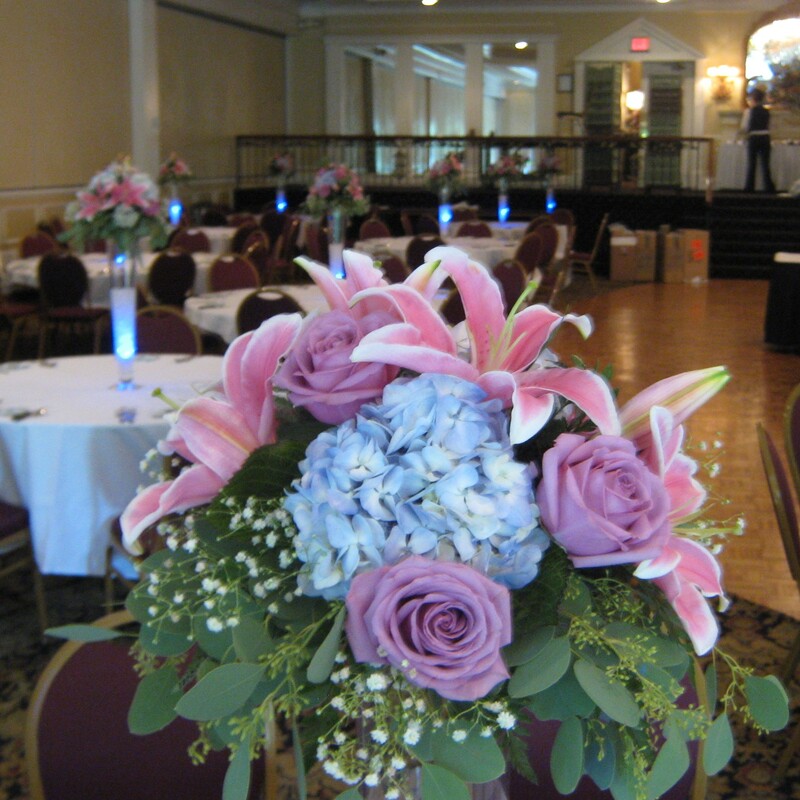 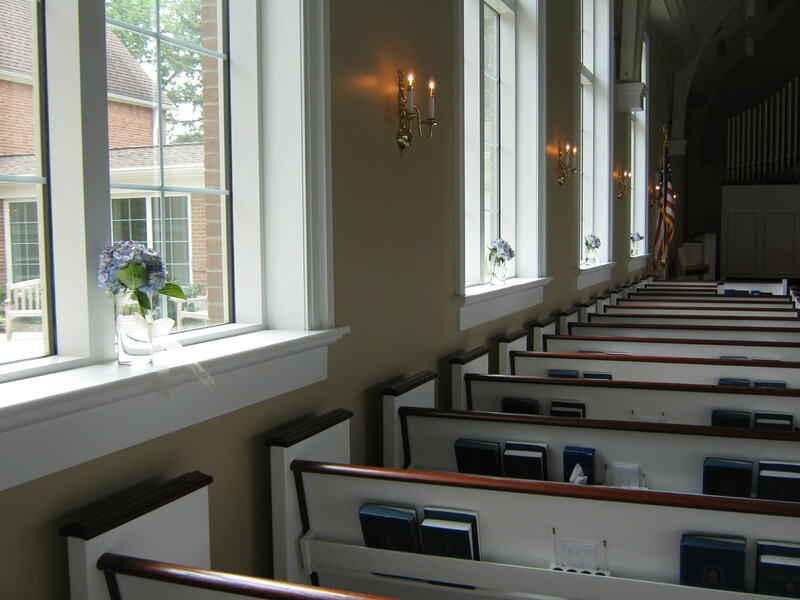 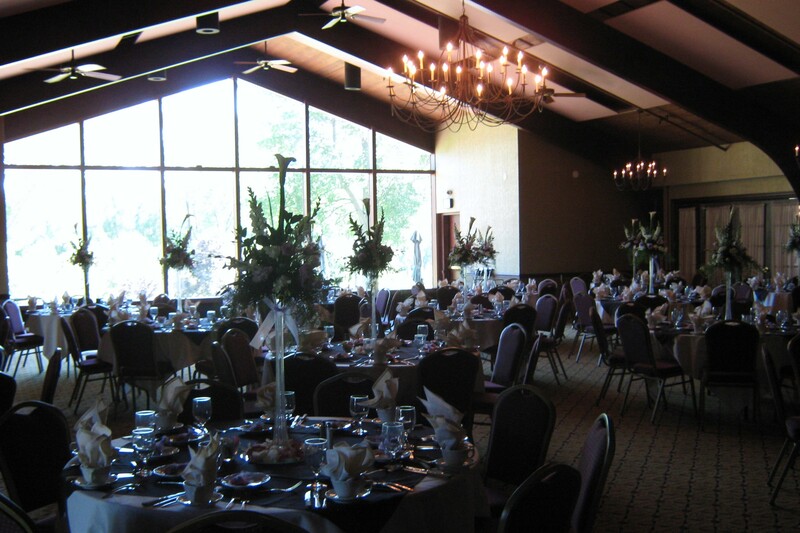 Vases of hydrangea are set upon the windowsills in the sanctuary. 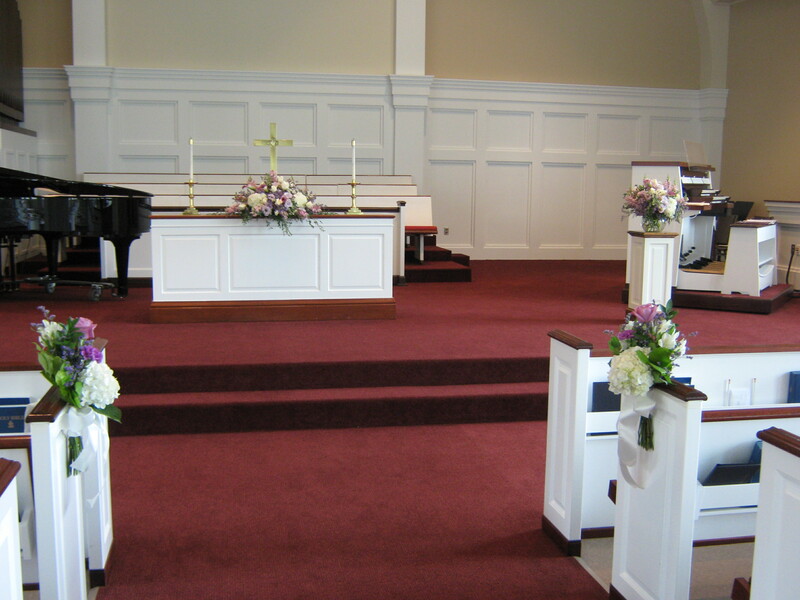 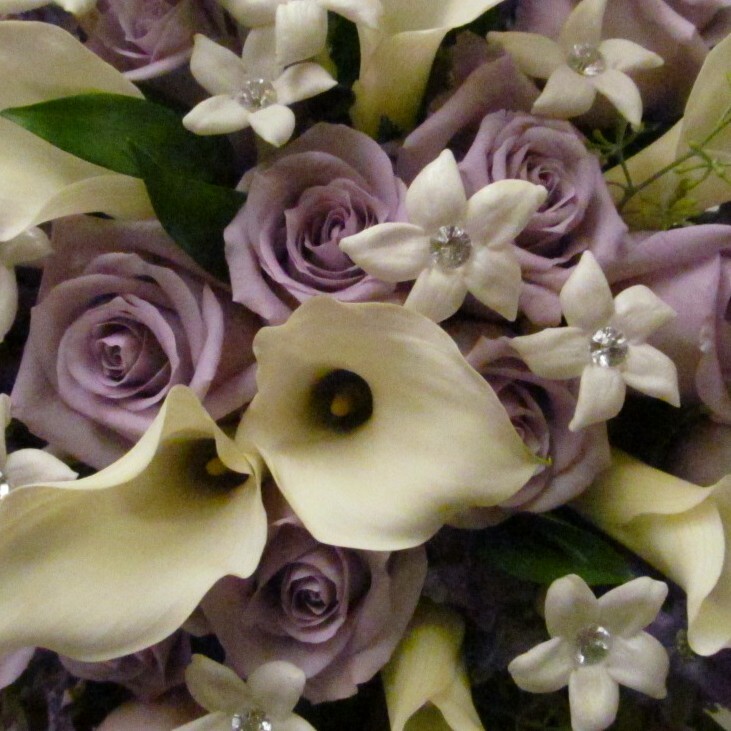 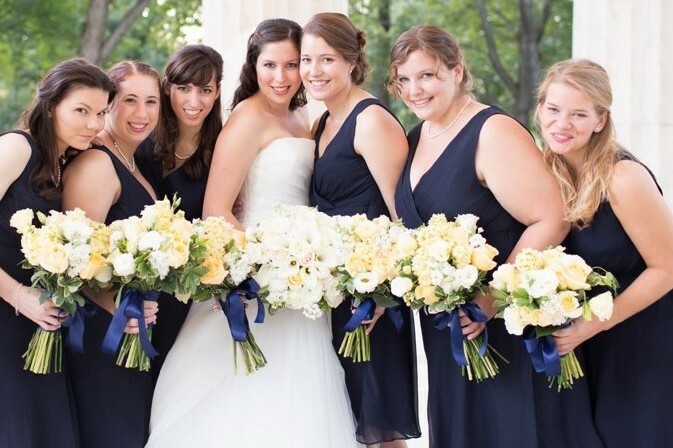 Flowers throughout the church create a romantic ambiance for the ceremony. 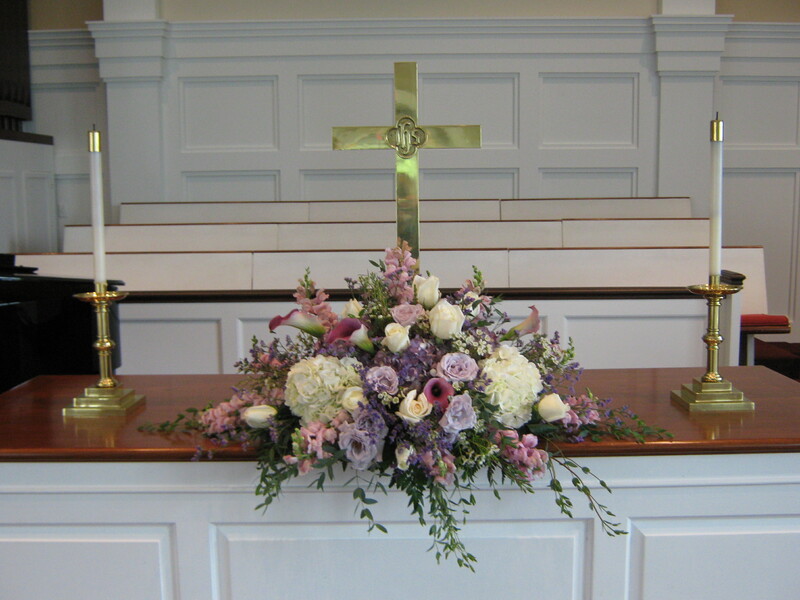 A long and low style centerpiece in soft hues adorns the altar. 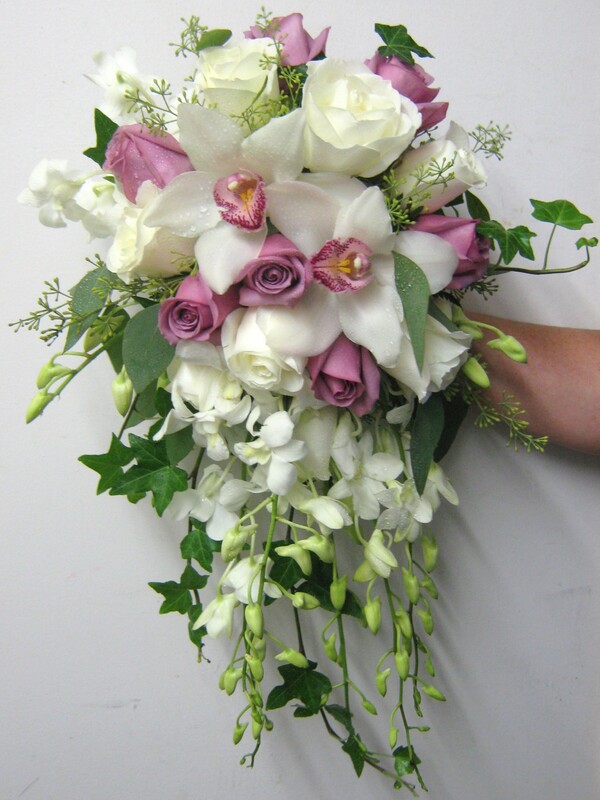 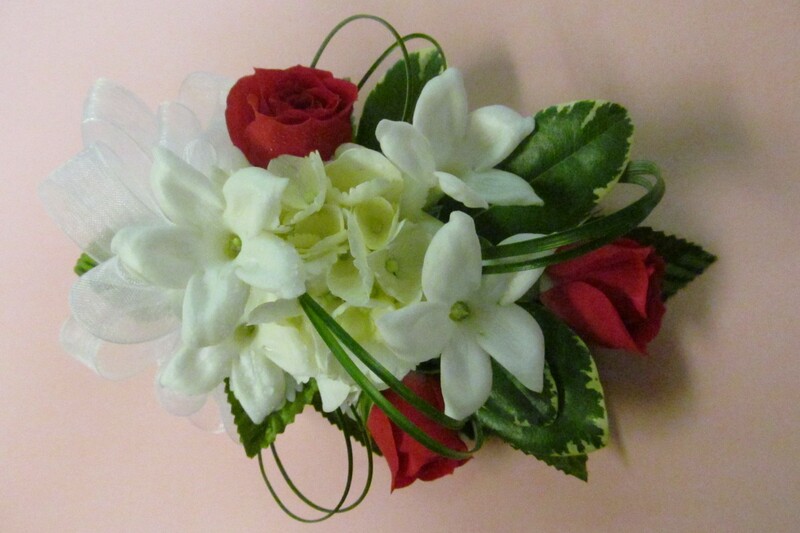 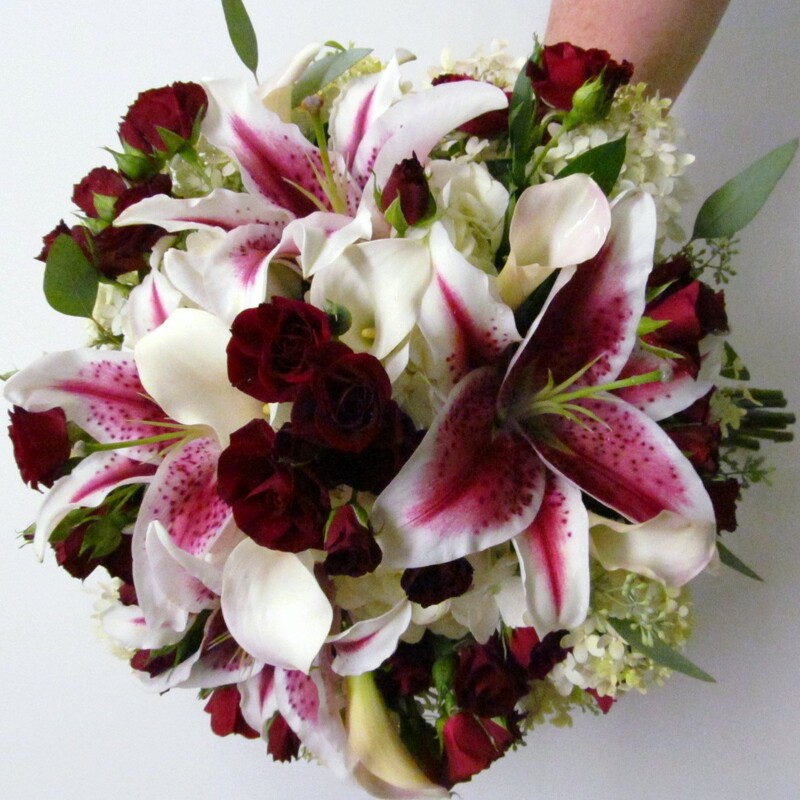 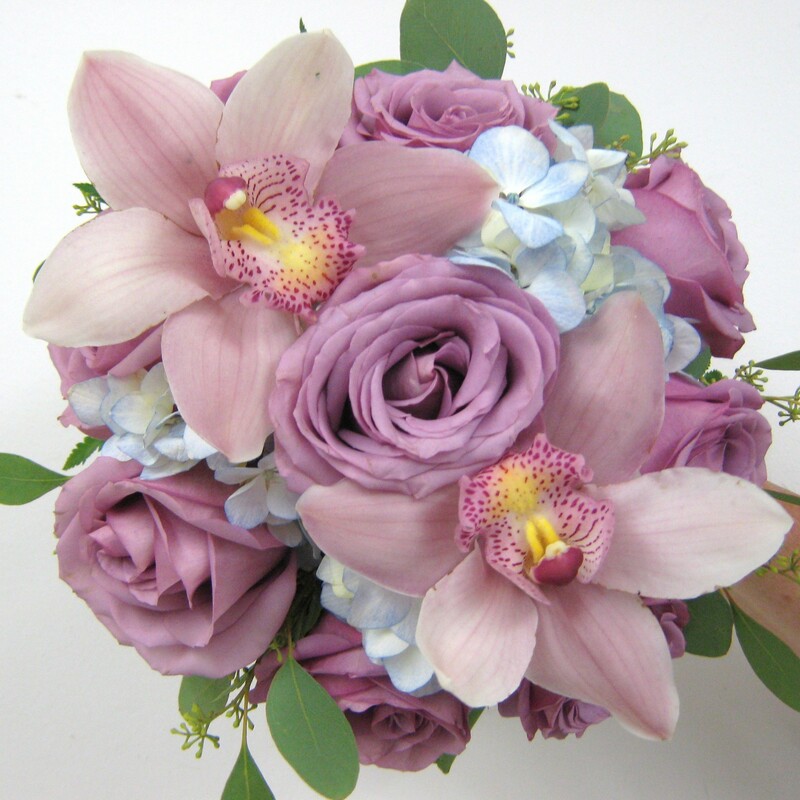 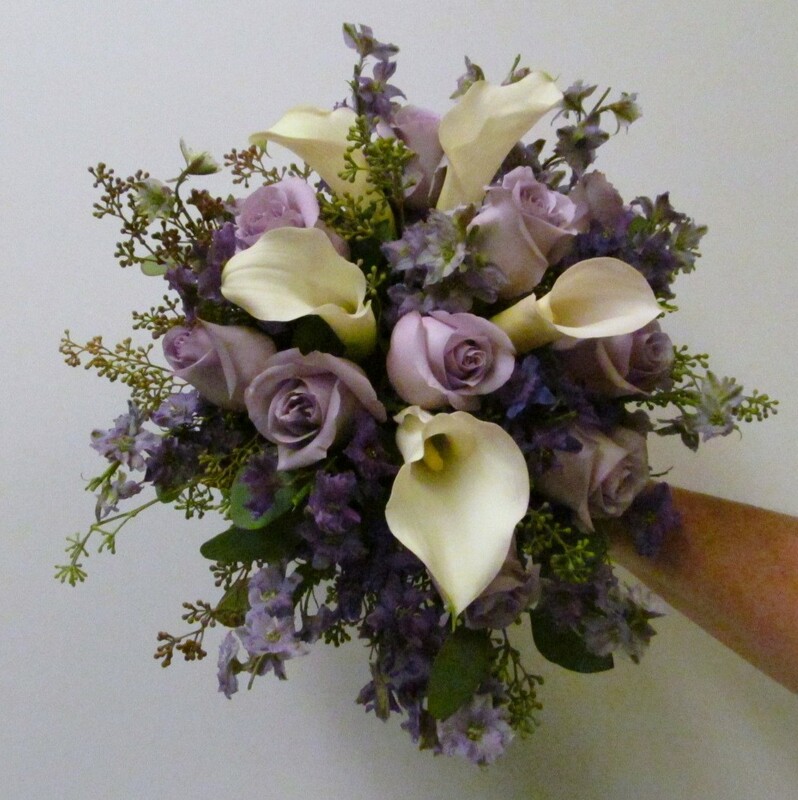 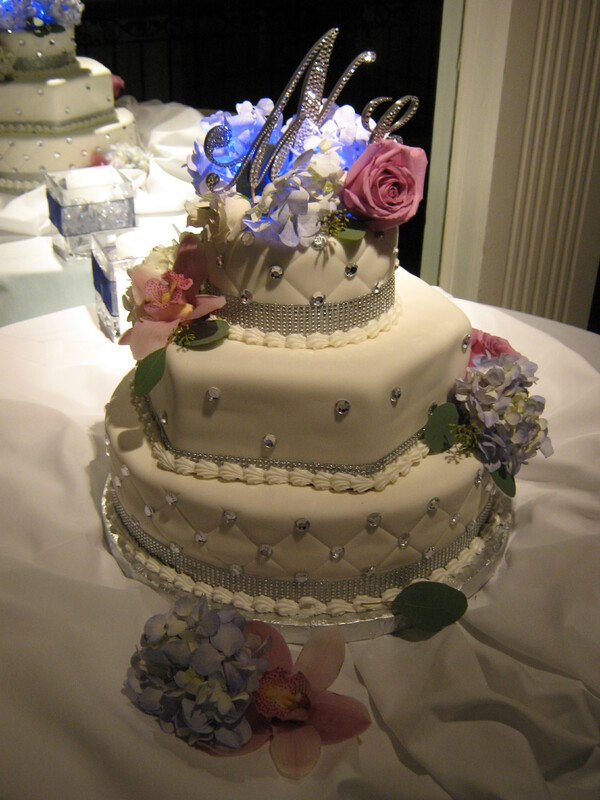 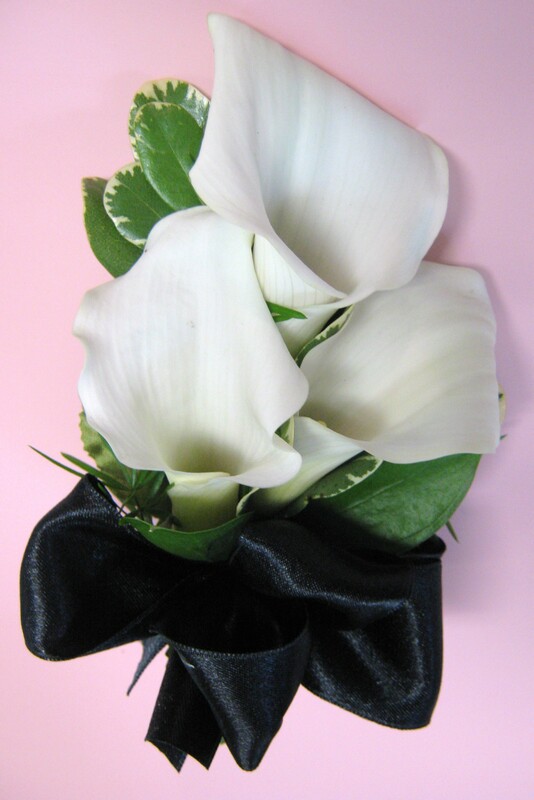 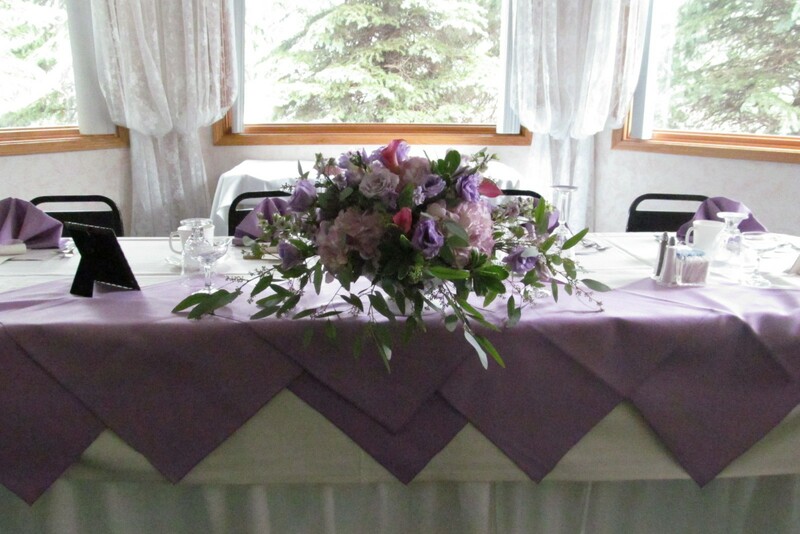 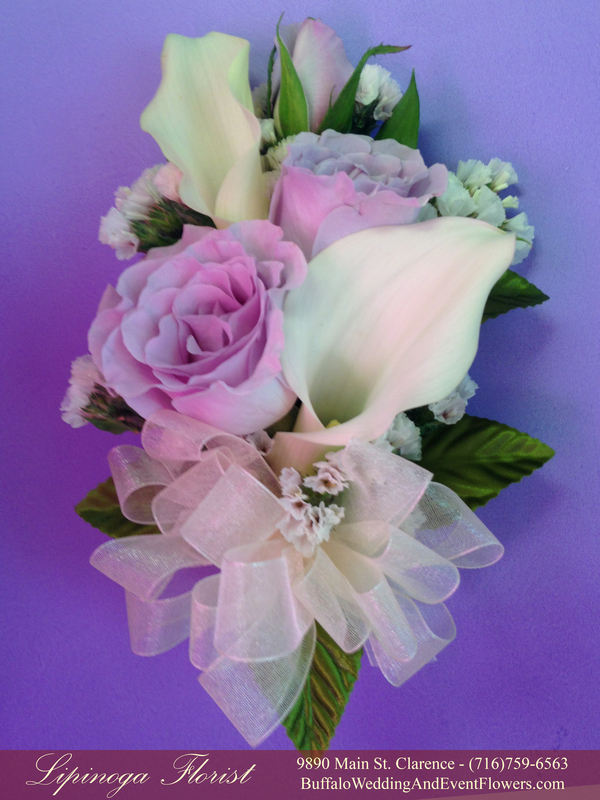 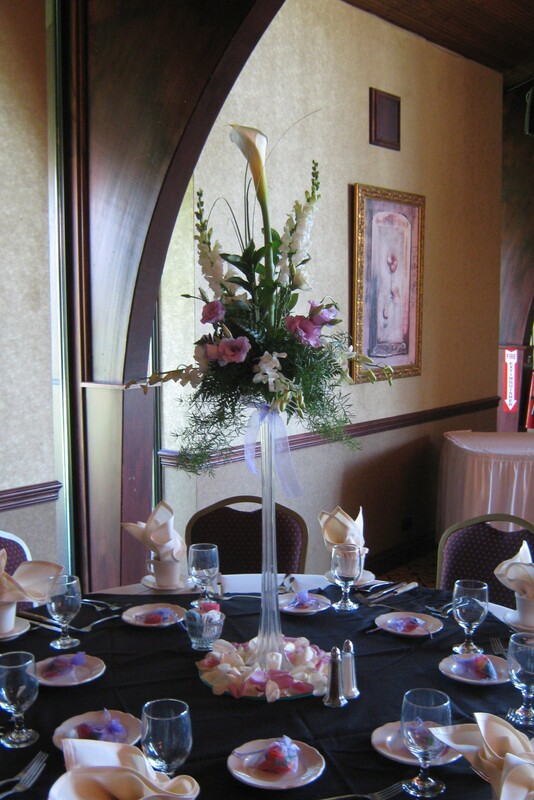 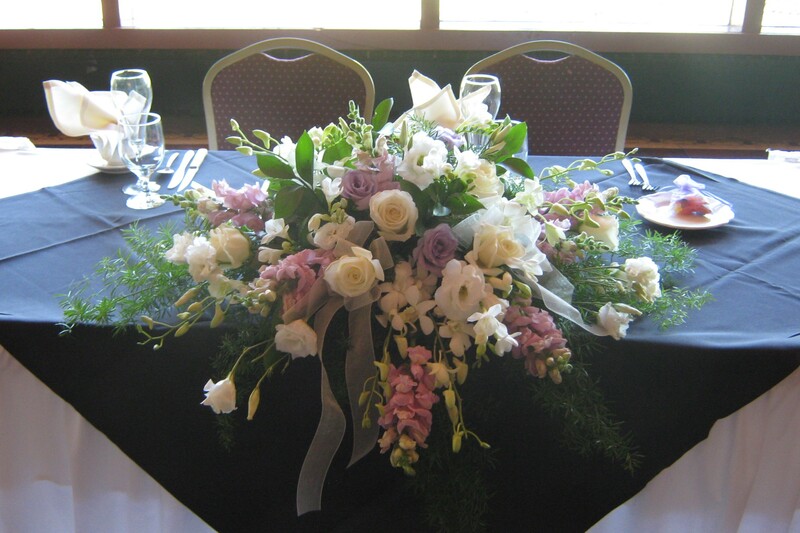 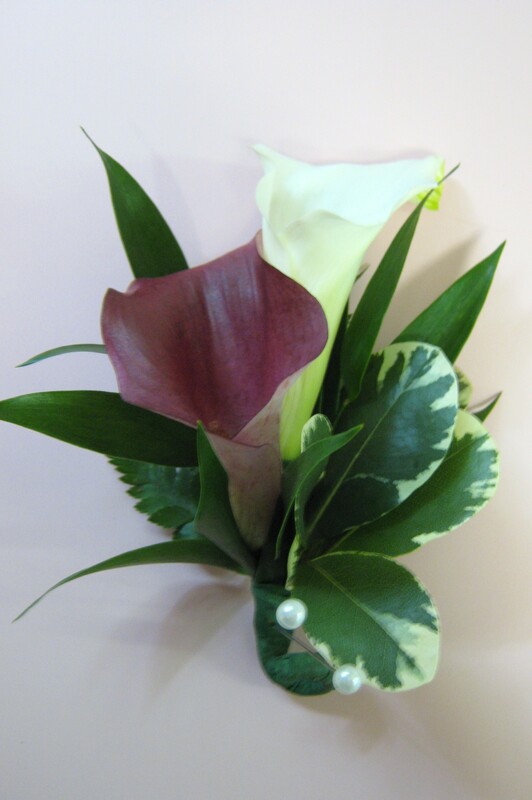 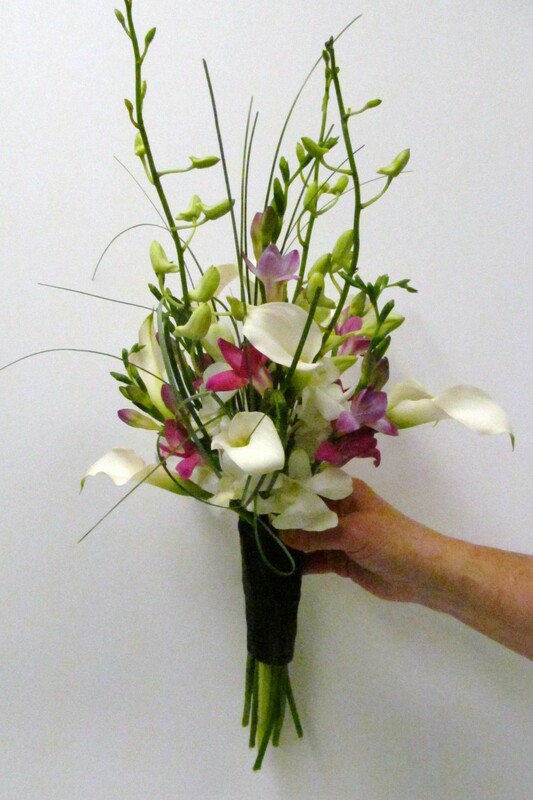 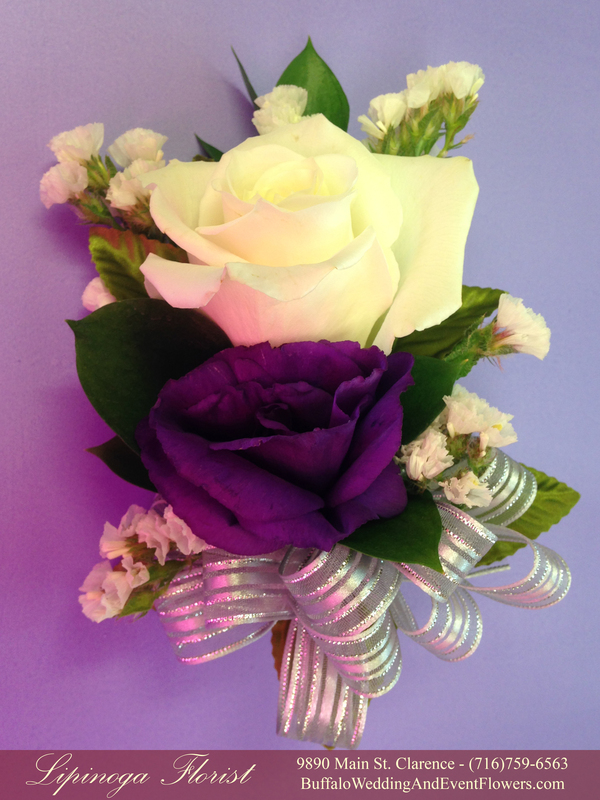 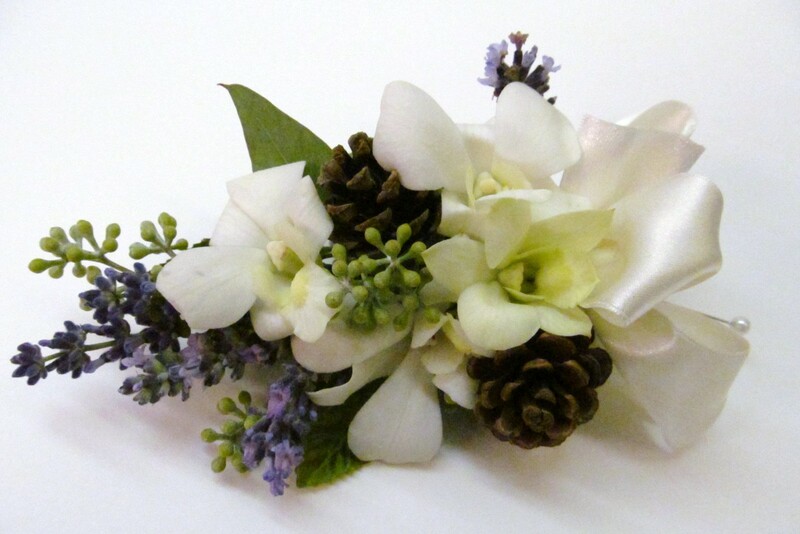 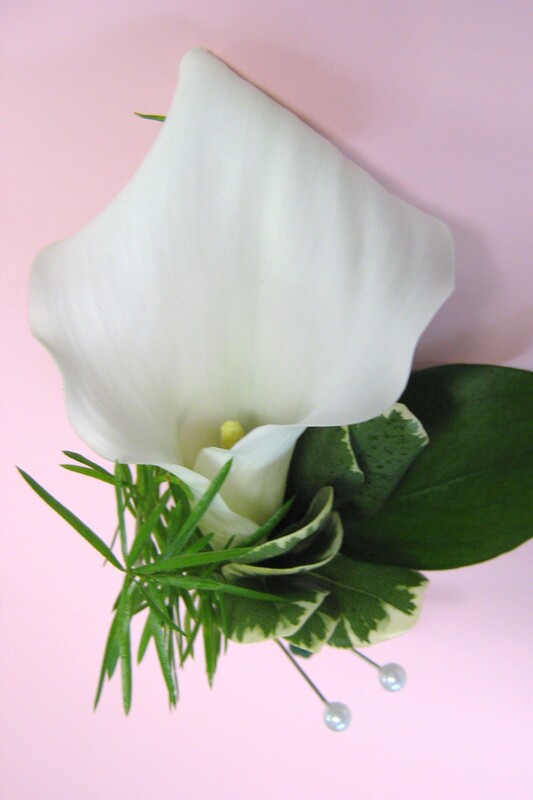 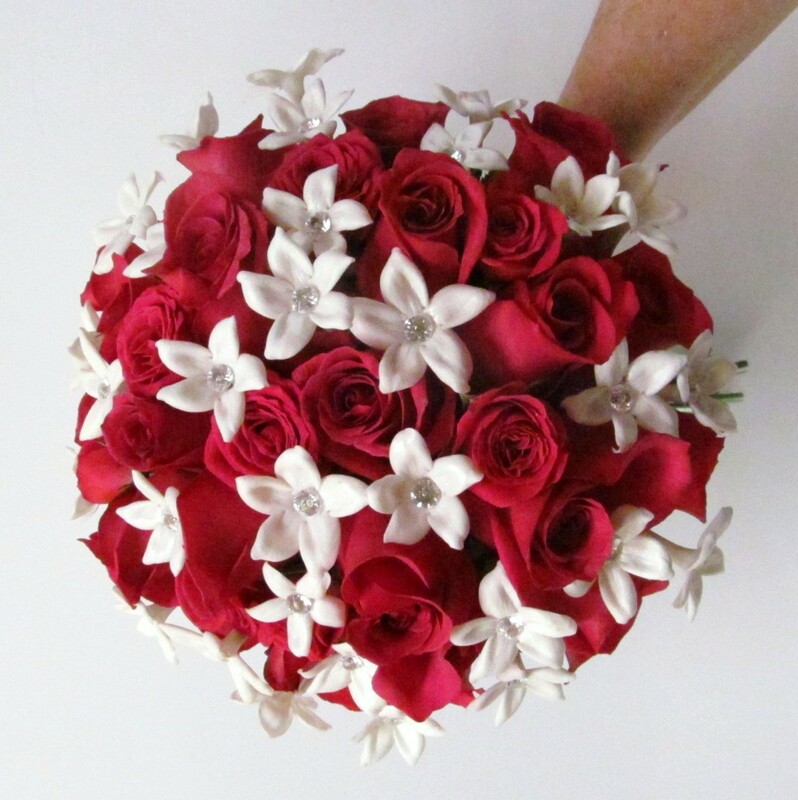 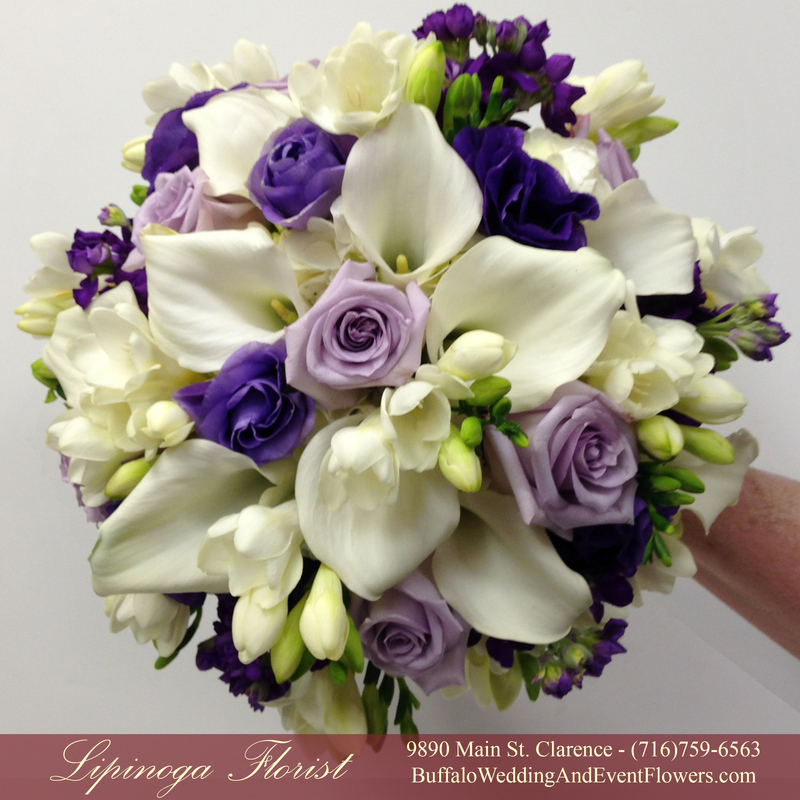 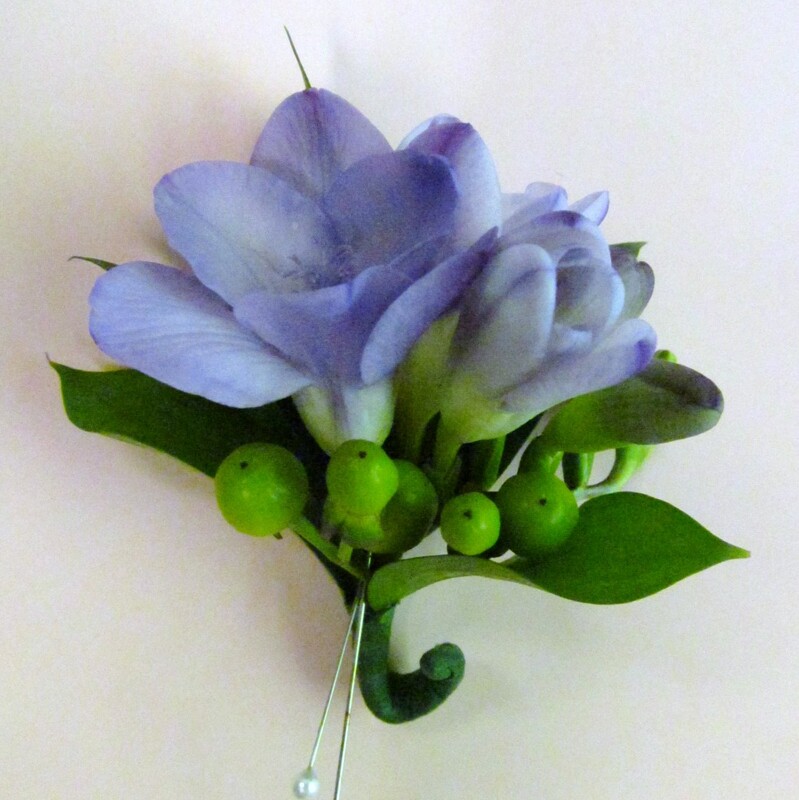 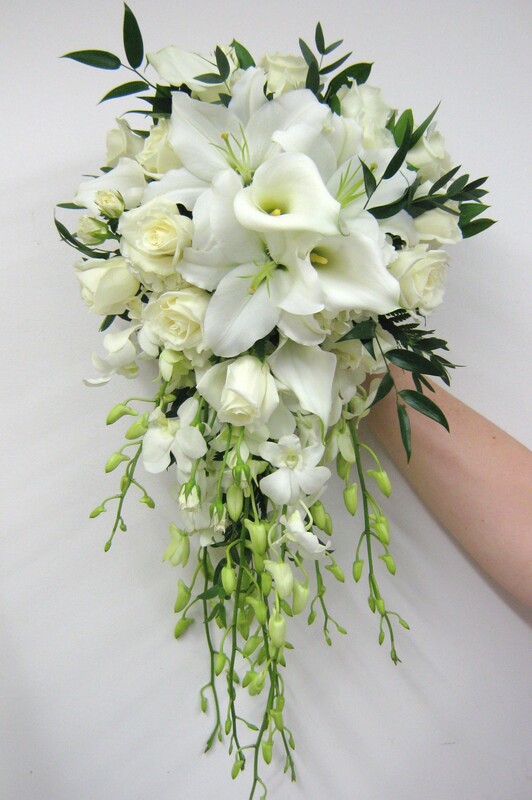 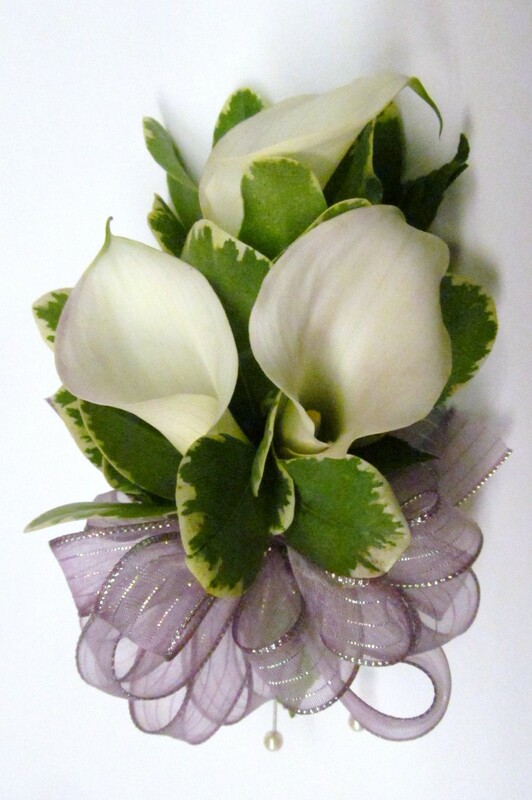 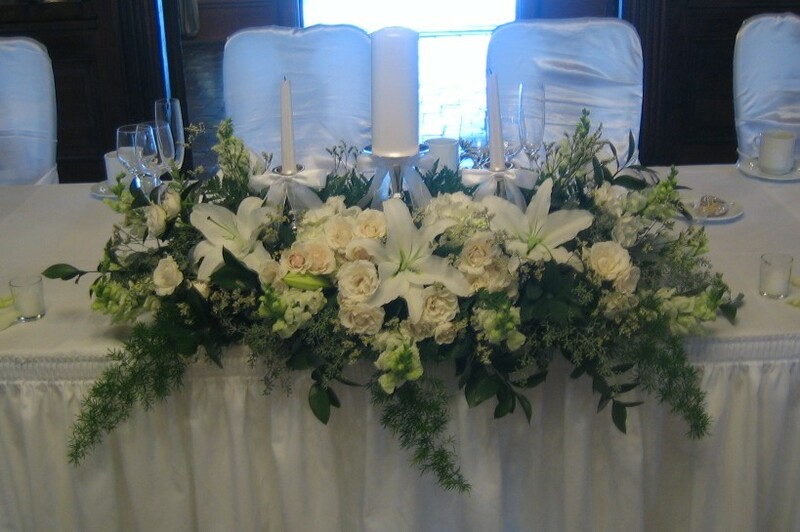 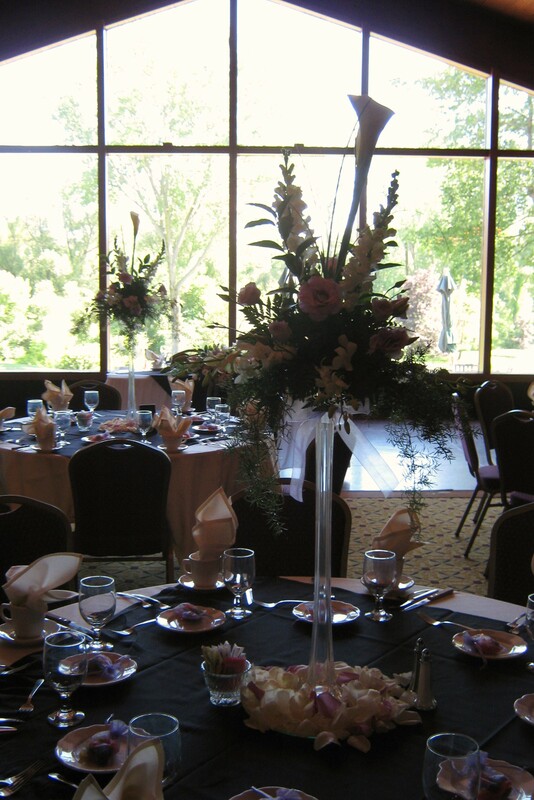 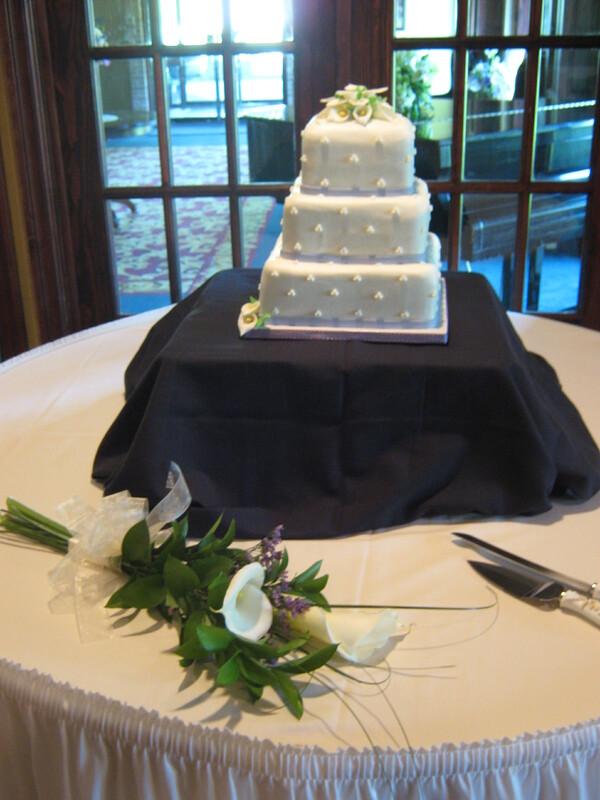 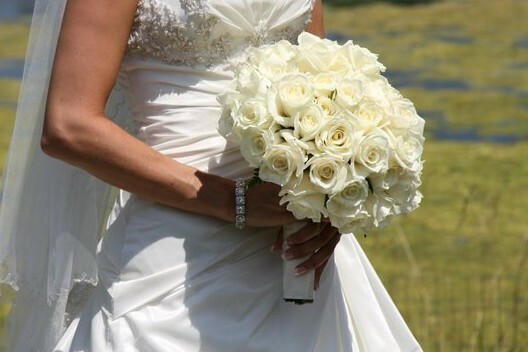 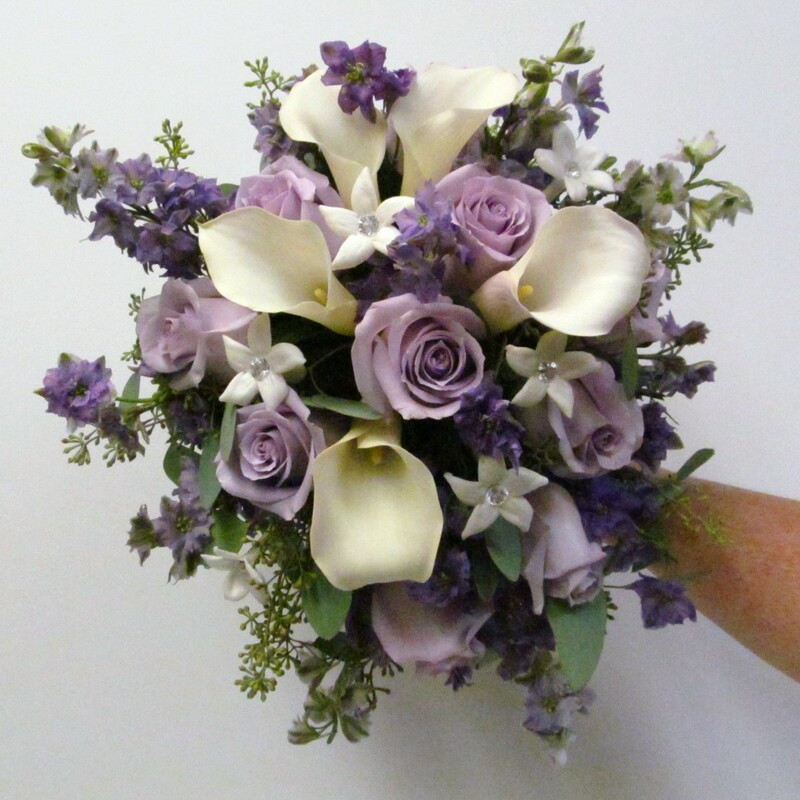 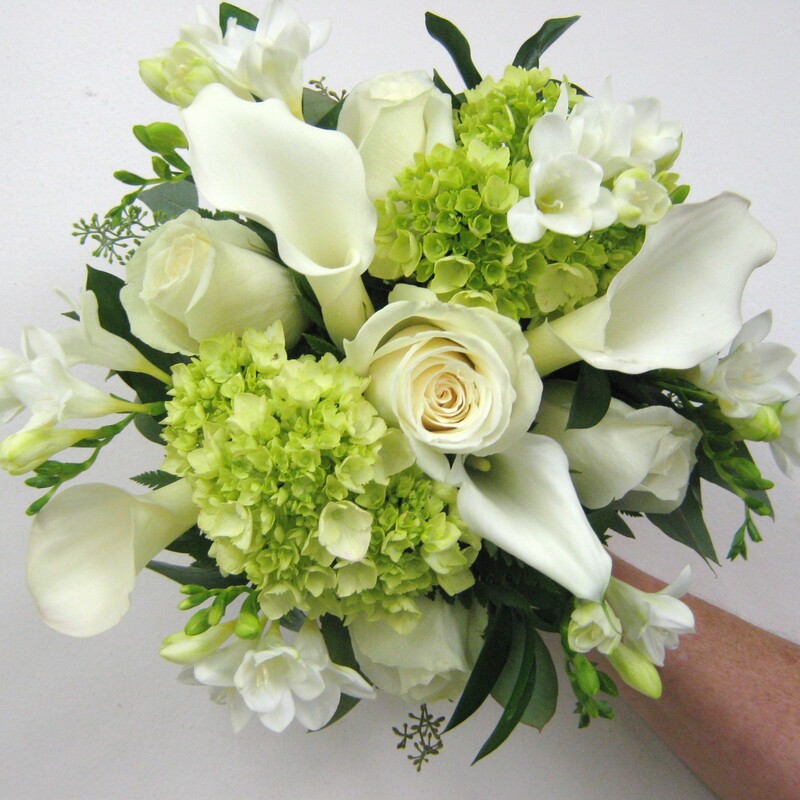 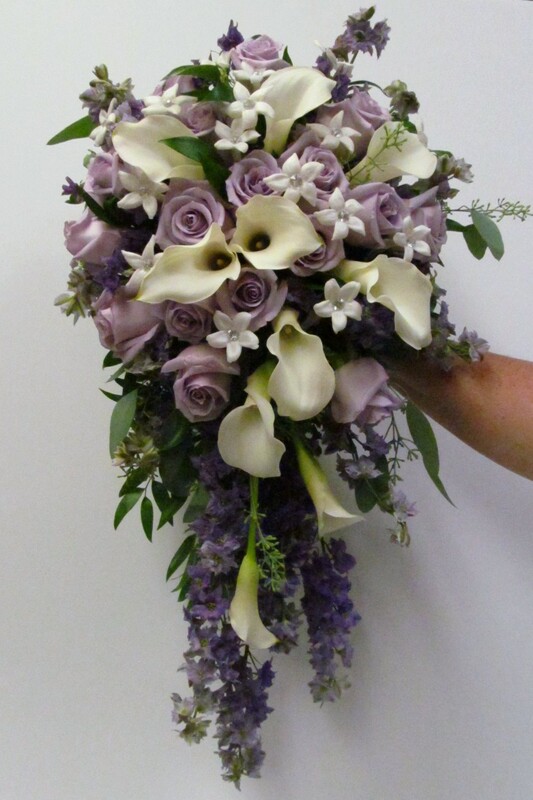 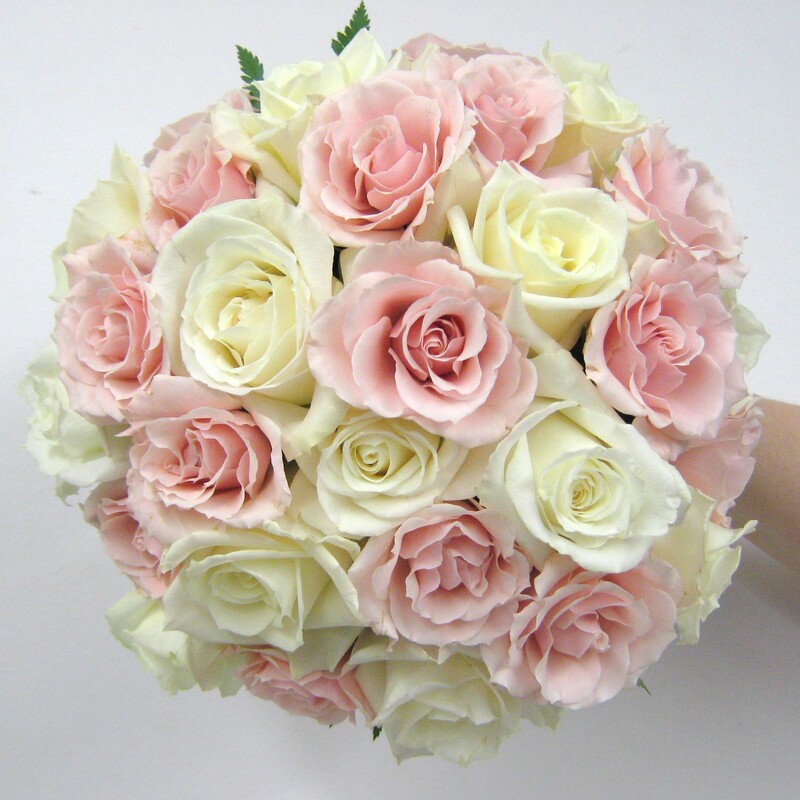 An arrangement in this style is appropriate to be re-used at your reception on the head table. 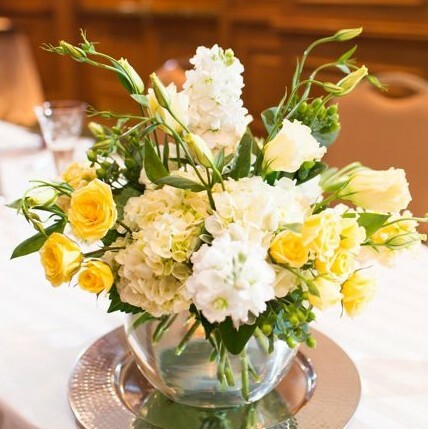 A simple rosebowl overflows with flowers such as hydrangea, snapdragons, roses and mini calla lilies. 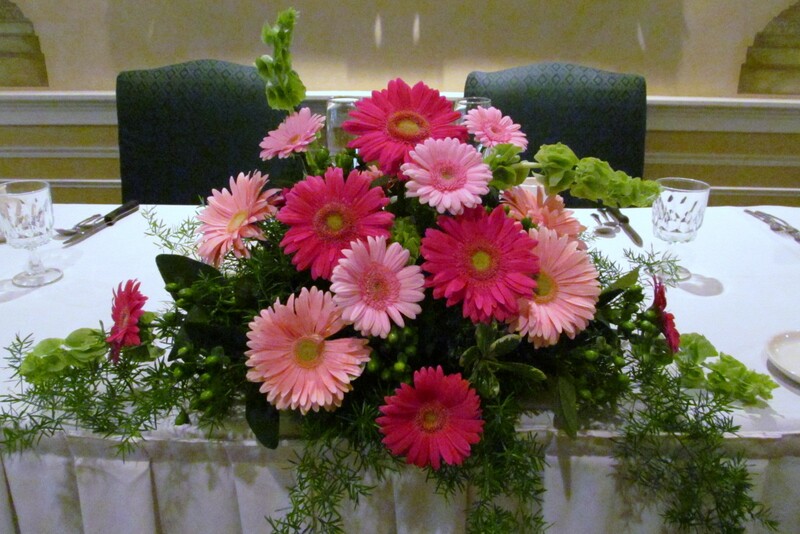 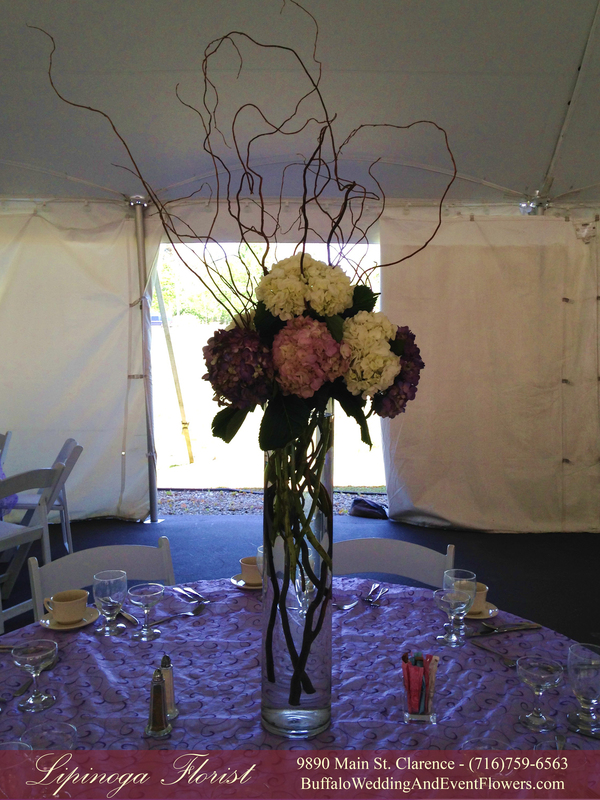 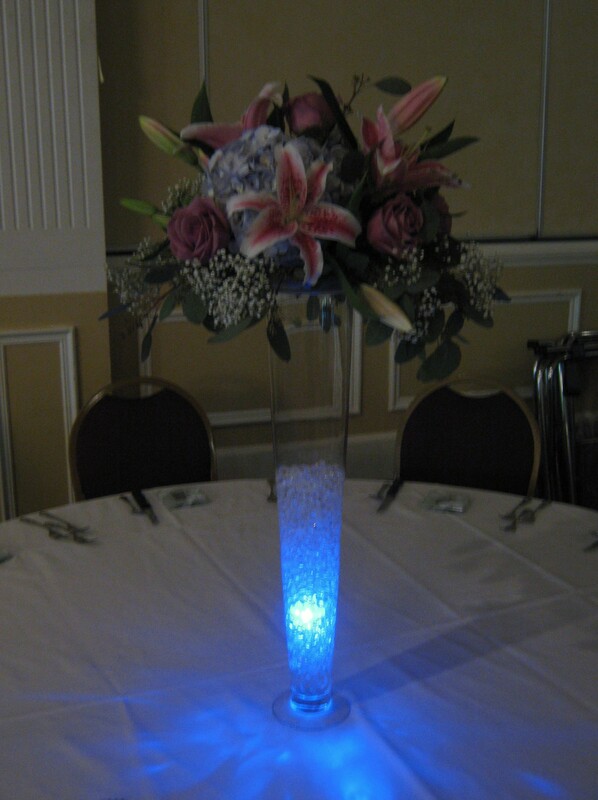 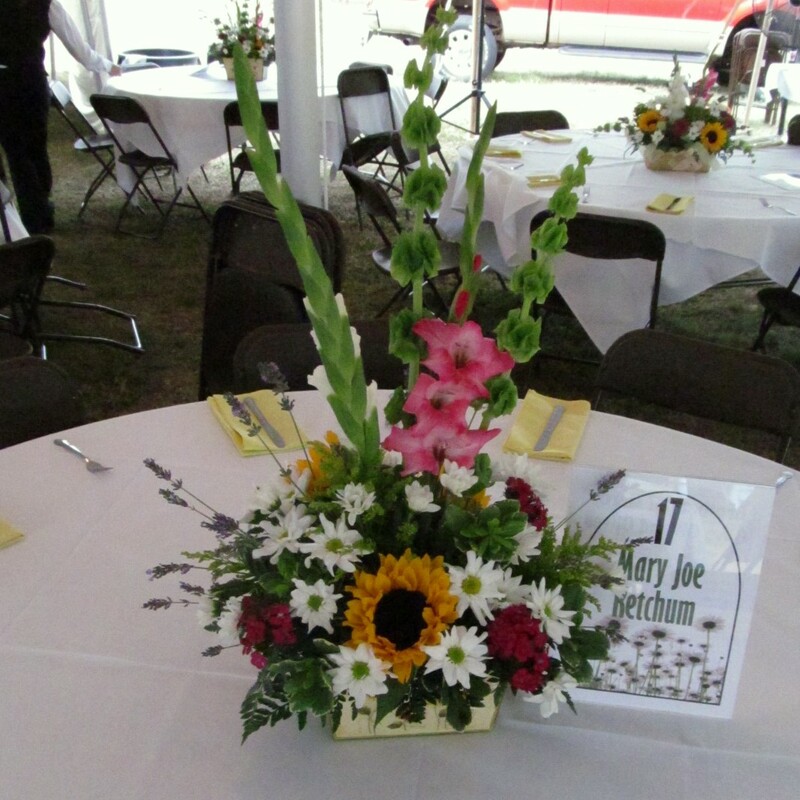 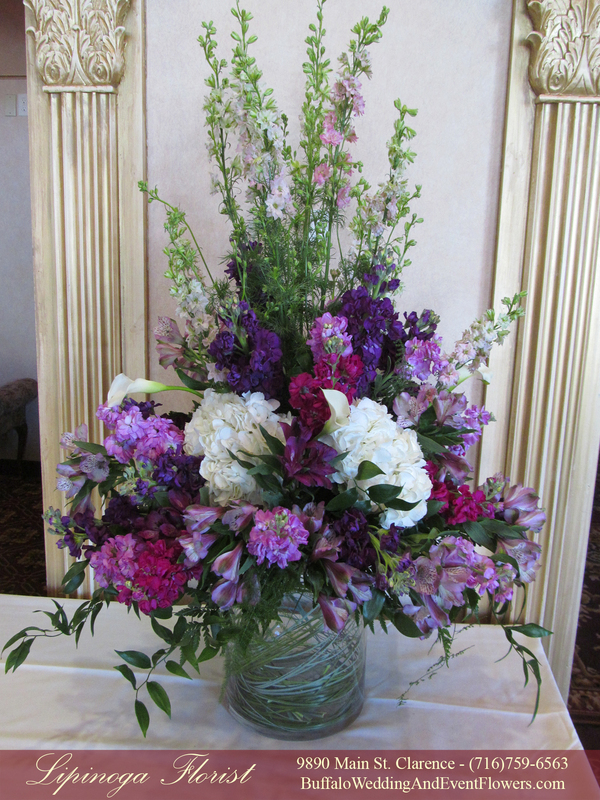 An arrangement in this style can be re-used at your reception on an accent table.